Katie visits London with her think-tank 'The Hidden Brain Drain' with Sylvia Hewlett and Cornel West to present to the House of Commons (29/4/06). Also attending were Cari Dominguez, head of the European Economic Commission, Prof. Lord Eatwell, President of Queens College, Cambridge, and Jermey Isaacs, CEO for Lehman Brothers Europe & Asia. Closer to home, Katie attended a typical family weekend of football, yard-work, hair cuts and general business. The kids were rewarded with special artwork made by her for them. They also had an above average quotient of potato chips and junk food. Eitan plays football in Palewell Park. 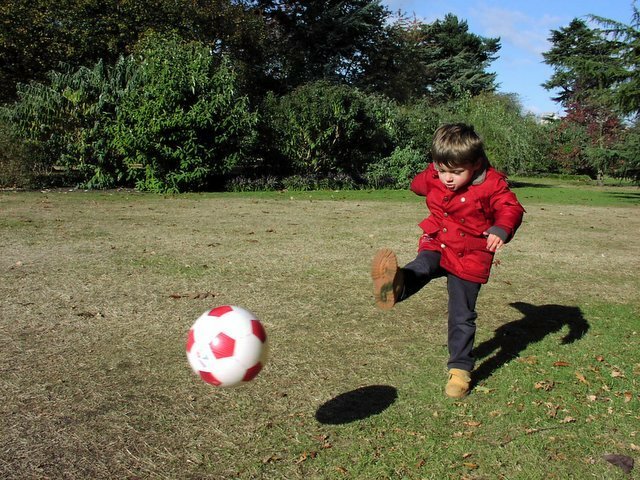 While a bit turned around in this shot, the kid is a natural striker and models his play after England heros Joe Cole, Frank Lampard and Wayne Rooney. 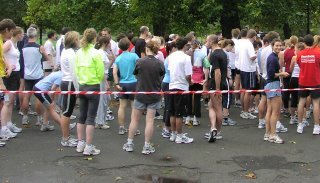 We've not picked a team to support together, but given the life consequences of this choice, it is wise to take one's time. For the record, I'm an Arsenal fan. 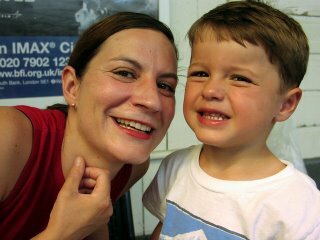 Eitan at a diner in Hamstead (21/9/03). Without doubt, he enjoys his favorite meal. This photo I took during London Fashion Week, courtesy of Sonnet, May 2003. 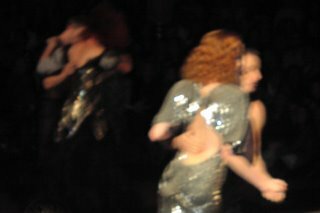 The clothes are Vivianne Westwood. 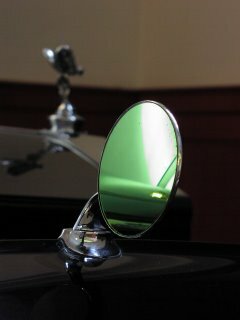 I bring forward this photo as I like the cool arty effect of the Queen's Rolls Royce parked at Buckingham Stables. 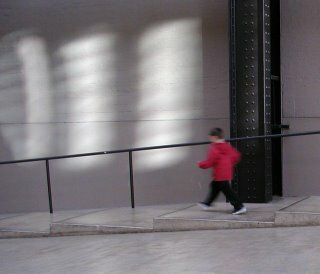 Eitan races the steps at the Tate Modern. Another favorite is the belly role down the main, sloped corridor of the museum, which both kids perform to perfection (or distraction). The Thames, dating back 600,000 years when it was a tributory of the Rhine in GD, is today tidal to the Teddington Lock from the North Sea or about 90km inland. From there, the river wanders anothr 250km eventually passing Oxford and ending at the village Kembel. At one point, the river was seven miles wide covering the Thames Valley, and today flooding is prevented by the Thames Barrier constructed in the 1980s. in the Buckeye State, summer '04. Eitan gets busy with his bathtime toys (10/4/04), in this case a Sagittarius (I think). 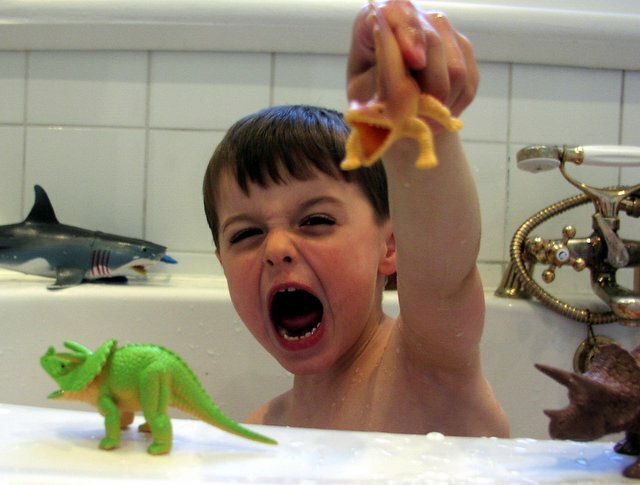 Play acting is a big part of the kids lives, and each has a unique and active imagination. Still it is interesting to note how similar development paths are with children - Eitan and his trucks, dinasours and swords; Madeleine with dolls and dresses, when she's not clobbering her brother. Madeleine, age 2, joins me for gymnastics (24/1/04). 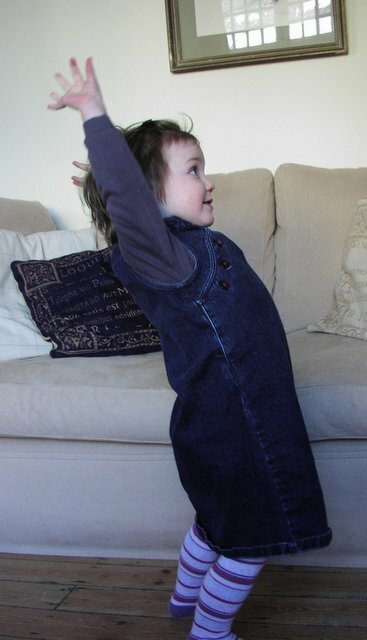 Here she works on her Arda Chandrasana posture also known as the back-bend. 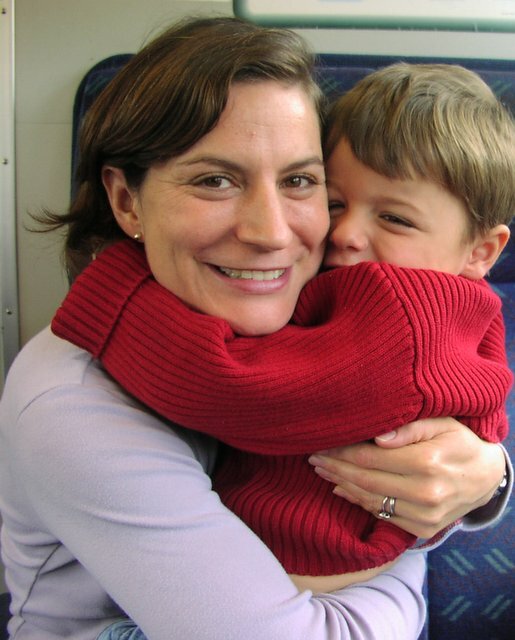 Sonnet and Eitan on a family train ride to Brighton on the Sea (12/10/03). 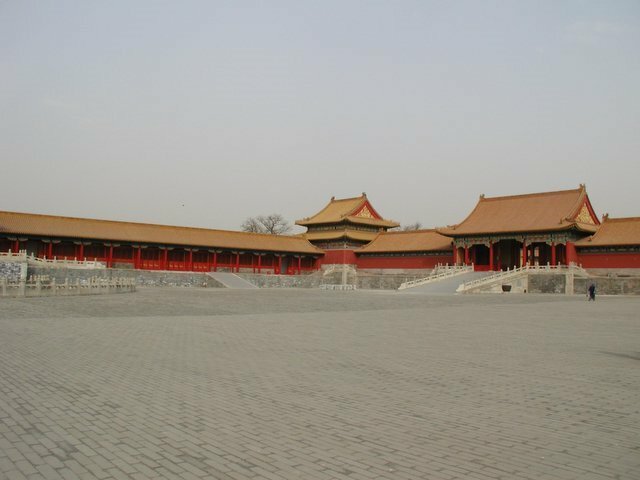 This photograph, taken from Tianamen Square facing the Mao tomb, shows an entrance point into the Forbidden City. 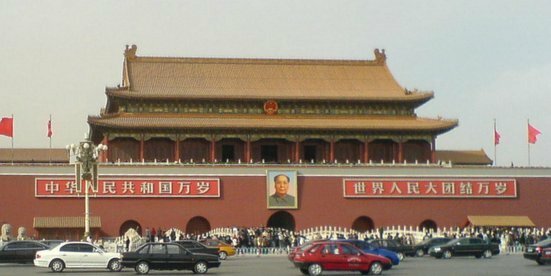 The portrait of Chairman Mao is about two stories and visible from all points of the square. Afterwards I walked the Dong Cheng (East City) neighborhood, which occupies the eastern half of the city center, spreading north and east from the southwest corner of Tian'an Men Square until it reaches the Second Ring Road. This area poor, filled with street hawkers, vendors, foodstalls, bicycles, telephone wires... in short, interesting and in sharp contrast to the modern sky-scrapers and high-rise condominiums which now own most of Beijing. By the 2008 Olympics, the East City will likely be history. 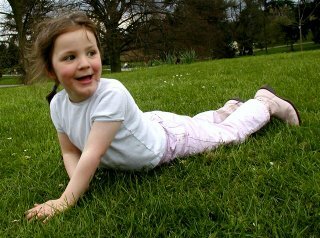 Madeleine rolling about in the newly cut grass over bank-holiday weekend. 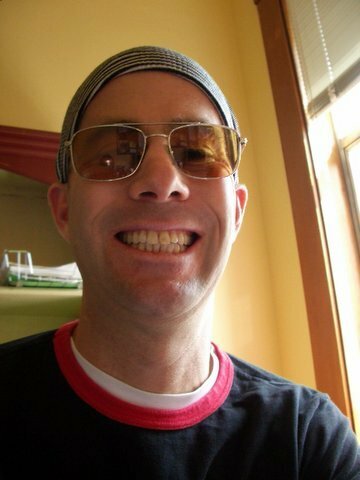 Adam, a long-time Berkeley friend and in line (we hope) to replace the late Hunter S. Thompson, weighs in from his crib in Oakland. NB Adam's dad Mike, a California Federal judge, married me and Sonnet in the summer of 1996. 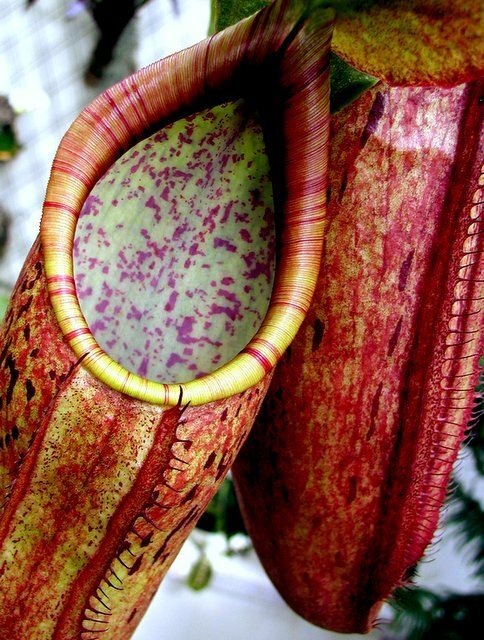 This fly-trapper, about the size of a large squash, located in a green-house at Kew Gardens. The kids told to keep their hands clear. 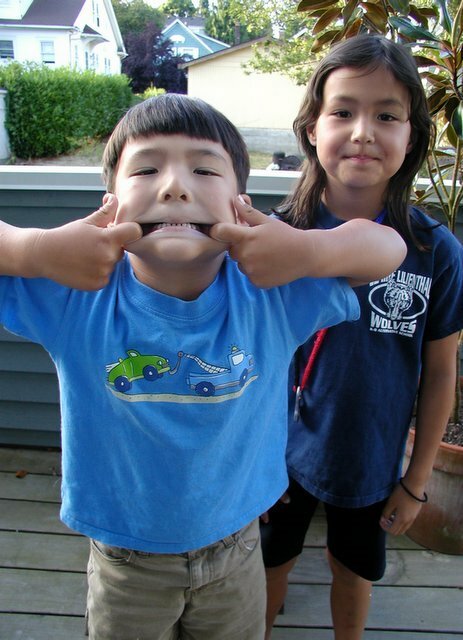 Roger Murff and Greta Kim's children Sophie Taylor and Thomas, in Seattle (12/8/05). This photo taken on their house porch, on a sunny afternoon in WA. Thomas is the biggest 4 year old I know (a clown after my own heart, too); while Sophie an elegant little girl. 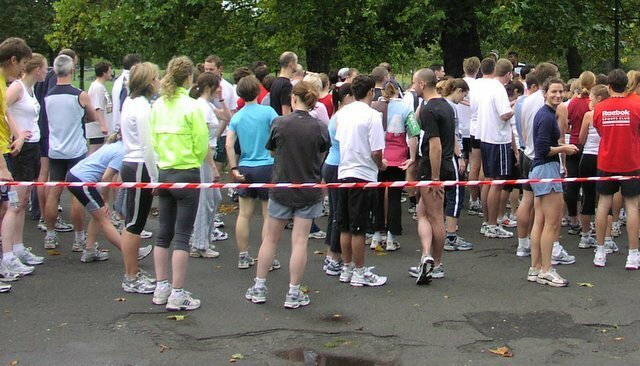 Sonnet faces a road race in Clapham Common, London (3/10/04). Sonnet often runs into work, making her the most eccentric curator at the V A. 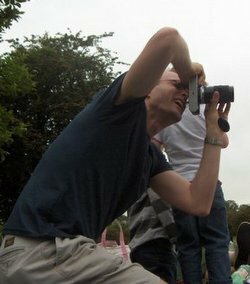 The kids were fascinated by the activity, and a bit suspicious of so many adults doing something so clearly stupid. Afterwards we are joined by Dale and Mendi and their four fab kids for brunch. 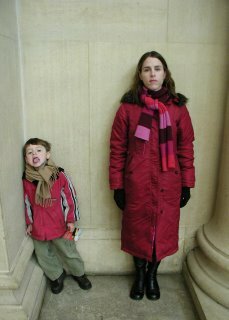 This picture, taken at the Tate gallery London, was the last in a series where Katie becomes more posed and Eitan bored - hence the tongue (23/12/04). Afterwards we took the Tate-to-Tate boat to the Tate Modern where, since it was winter, a faux snow slide was erected offering something the museum could not - one hour of kiddie fun. 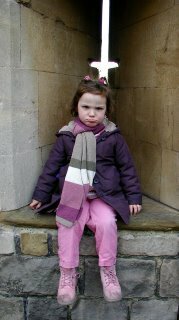 Madeleine would have repelled those invaders at Windso Castle, where this image was taken (24/12/03). 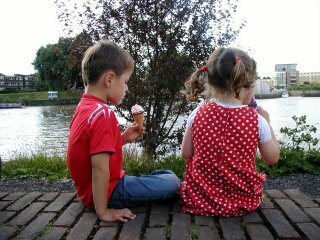 I don't recall what the fuss was about, but am fairly certain she had her way in the end - probably McDonalds for lunch. 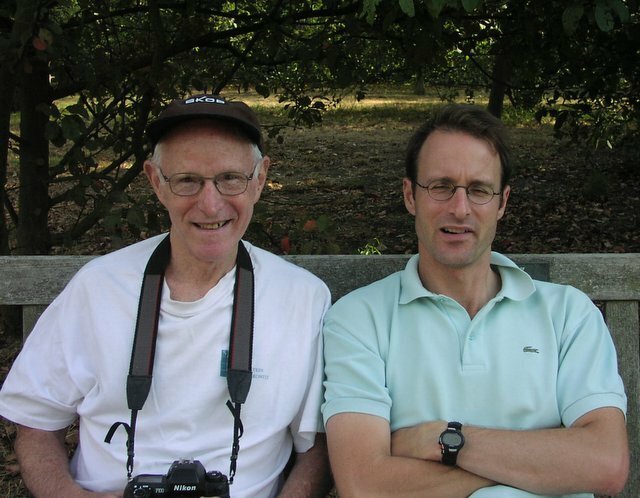 This was the Christmas that the Orensteins re-united briefly in London. Eitan takes to football (9/3/05) where he plays each week in the pee-wee league nearby our house. 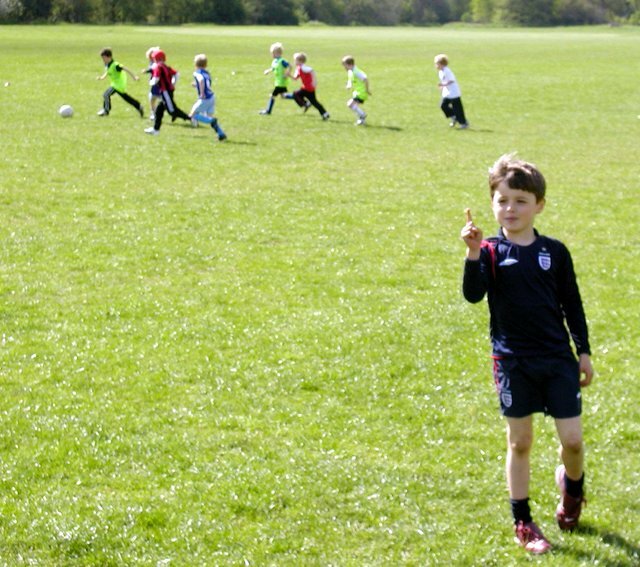 The boy was quite excited by his all-England outfit (shirt on backwards) and cool cleats for the pitch. Morning practice preceded by swimming lessons; followed by a lunch and a long nap. 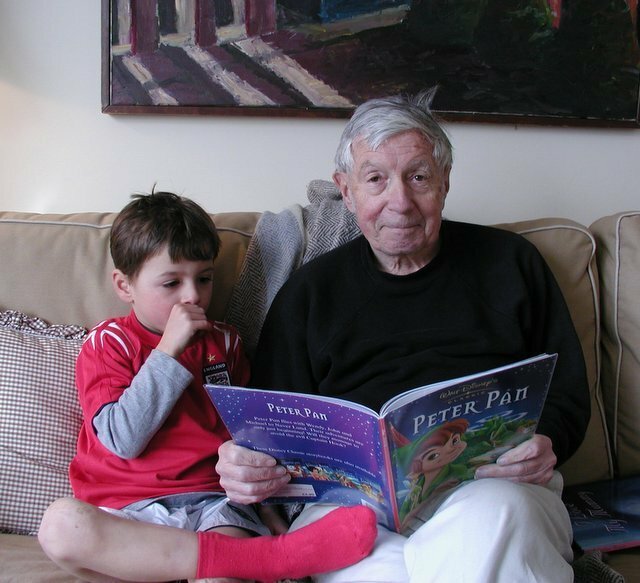 Grandpa Stan reads an all-time classic (20/3/05). 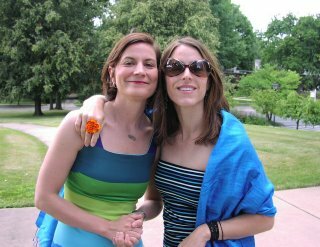 The Stanfills, who are noted anglophiles, visit London frequently to see us, and recitals at St. Martin in the Field, the Elgin Marbles and British Museum, and the Royal Opera House in Covent Garden. 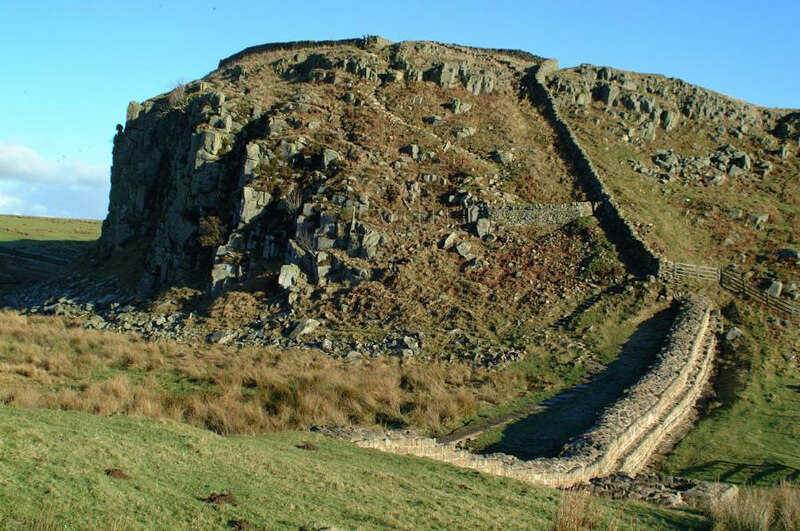 Notable trips have been to Hadrian's Wall and the Durham Cathedral in the Midlands. It's a family jungle out there, and somebody has to photograph it. 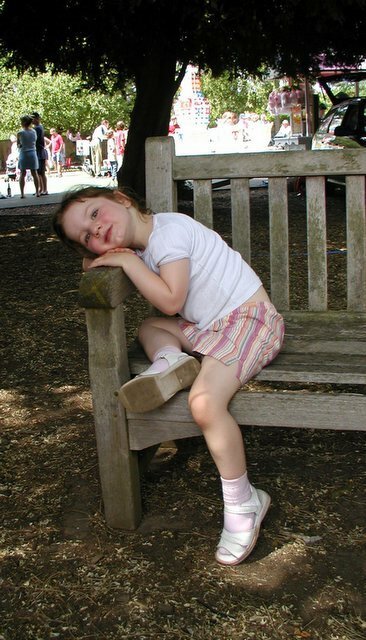 This shot of me taken in Regent's park on any typical weekend (29/5/05). 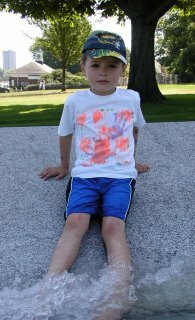 Eitan rests his feet in the circular marble fountain in Hyde Park, next to the Serpentine (16/5/05). 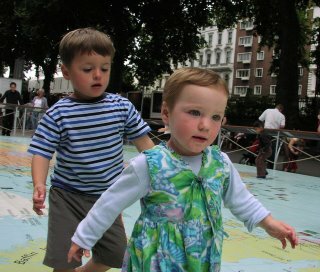 Remarkably children are not allowed in or around the memorial, and we were informed repeatedly that 'no playing allowed.' On a hot day, in the middle of a manicured, grassy field, not being able to let one's feet cool off in the icy water is, well, next to torture. Madeleine and I spend the day together at the 2005 summer fair. 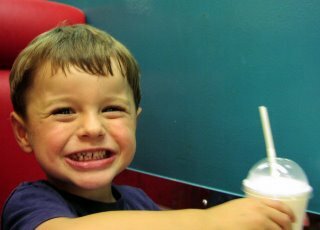 Eitan was being punished for poor behavior, and misses out on the festivities which included a bouncy castle, face painting, cotton candy and other junk food and bbq - a favorite. It isa hot June day, and Madeleine is happy and worn out by the time we have a break, which the picture shows in better detail than I can explain. 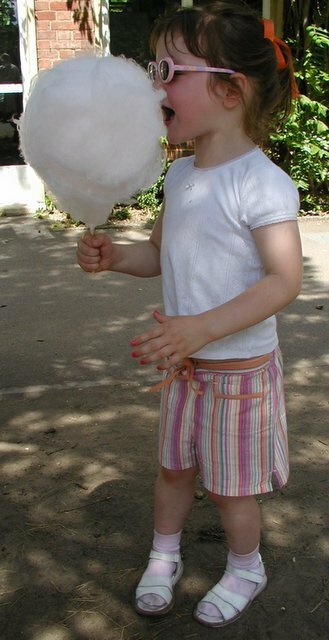 Madeleine discovers cotton candy at the summer. The school,where Eitan attends reception, located several blocks from our home and the fair brings in a good chunk of the PTA's annual budget - around £14,000 in 2005. As the newest PTA member I am helping organise the 2006 campaign with other parent volunteers; I will also be the clown as this year's theme is 'circus' - is this the sort of thing that eventually drives our children from us? 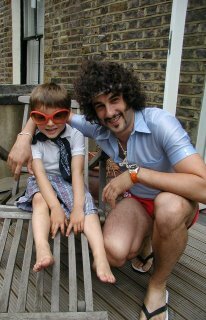 'Uncle' Anthony's 30th birthday party served up a disco theme (note to reader: this is not Anto's normal hairstyle). We spend the afternoon at the BBQ picnic surrounded by many cool cats from London's younger and cooler community. We are the only guests with kids.... by a mile. While we leave at 5PM, the action goes on until 7AM Sunday morning - I note during this time Sonnet and I sleep 9 hours. Eitan shows once again that he is a natural in front of the camera. This photo taken at the Barnes station, summer 2003 (12/8/03). It was unusually hot. Moe and I somewhere in Kew Gardens (24/8/03). I recall a warm, lazy day - while London may be cold and grey a good part of the year the pay-back comes during the summer months when the sun sets late offering a second half to the day. Wimbledon tennis sets the tone in June while August the UK and much of Europe shuts down for four weeks. 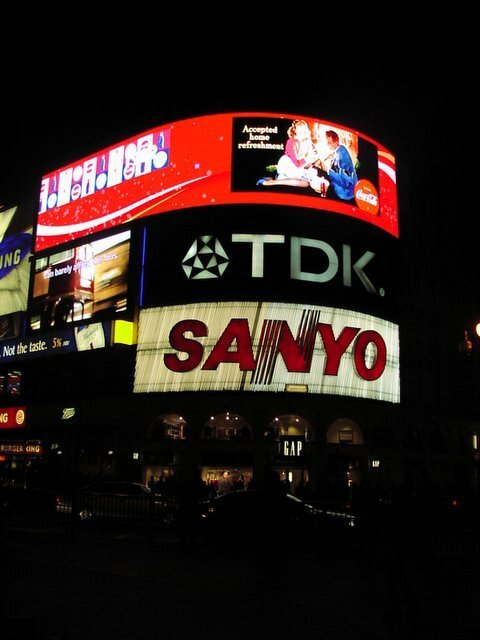 When Alfred Kinsey visited London to study English sexual attitudes, he immediately asked to be taken on a sexual tour of Soho. The area around Piccadilly Circus and Leicester Square astounded him. Comparing London to the Hispanic sexual cultures of central America, Kinsey claimed that he had never seen so much street prostitution, except in Havana. And there you have it. Eitan wacks the ball in the late fall 2003 (26/10/03). He and Madeleine have football - er soccer - practice once a week, come rain or shine. 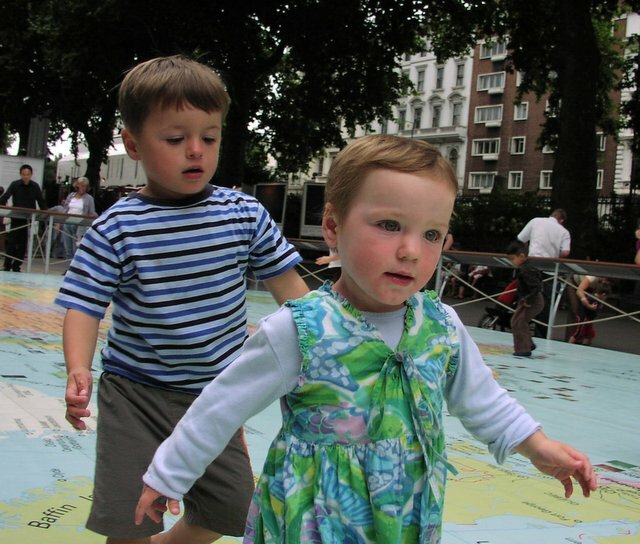 Of 120 kids, Madeleine is the only girl - and we are quite proud of this. 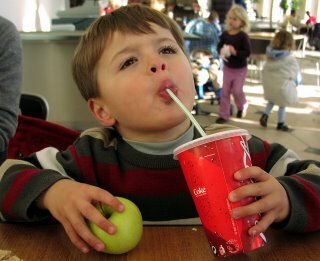 Eitan slurps down his favorite drink following an exhausting morning at Kew Gardens - at least for me and Sonnet (23/10/03). Is everyone crazy but me? 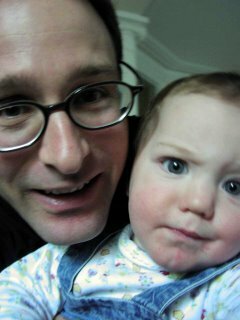 Madeleine at one year makes an effort to come to grips with her near surroundings (18/1/03). 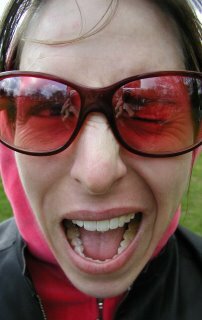 For instance - why is somebody pointing a strange device at me and asking for a funny face? I mean, what's up with that? The Great Wall is a Chinese fortification begun around 220 BC then expanded to its present length of 6,300 km in the 14th to 17th centuries by the Ming Empire to protect itself from raids by Mongol and other nomadic tribes. I visited on a cold spring day, following a trip to the Ming Tombs which is equally impressive - 500,000 men over 25 years to build the crypt only discovered in the latter half of the 20th century. Singapore, where I was last week speaking at the Asian Summit conference, is one giant shopping mall. It is hot. 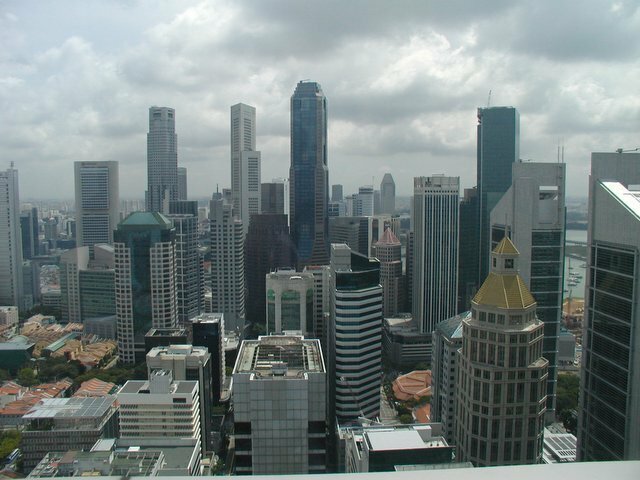 Singapore competes with Hong Kong as a convenient and Business friendly launch pad for Asia. The Government runs the island with a strong hand and has been extremely successful educating its population in relevant disciplines to increase standard of living. It is also the cleanest place I have ever been. Highlights included the Asian Civilisation museum, Singapore Slings at Raffles Hotel and the hotel poolside especially around cocktail hour. 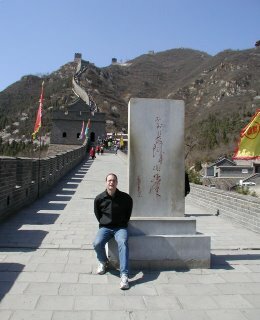 I spend a week in Beijing and was struck by the City's pace. Beijing has a population of 16 million and is the second largest in China after Shanghai. 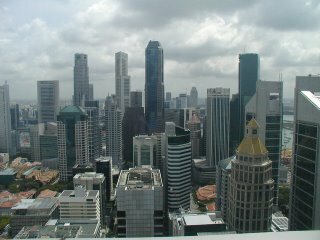 It is 'modernising' in preparation of the '08 Olympics, and the cityline is defined by high-rise condominiums and western-style office towers; much of the old city (and poor neighborhoods) has been demolished. While there are many striking statistics regarding China, one that has social implications: there are twice as many Chines between the ages of 30-40 than under 15 thanks to the one-child policy. China is aging quickly and unlike India where 75% of the population is under 35, China does not have an expanding labour pool. 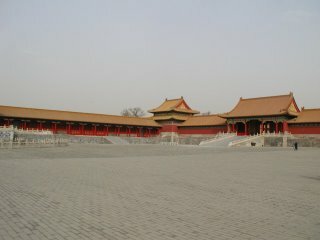 Any case it was fascinating including the Great Wall, Mao Memorial, Ming tombs, Tianemen Square and Forbidden City (pictured). Two books I recommend are Anchee Min's 'Empress Orchid' the last Empress of China and Philip Short's 'Mao A Life'. This photograph, taken in front of the Natural History Museum in South Kensington, presents Madeleine moments before being pummeled by her brother (27/7/03). Eitan is upset as his 'space' - somewhere over Oceana - invaded by her. Unlike with my Pentax SuperME where I develop b&w film the old fashioned way, I take plenty of digital photos with an Olympus Camedia rarely erasing (nor editing) the outcome. Ceremony celebrated with Shai and Ada Weiss in London (12/7/03). 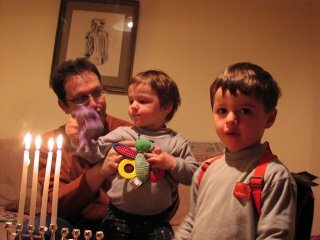 This the first time the kids (or at least Eitan) can appreciate the story of the lights. Sonnet prepared a brisket from a recipe passed down from great great grandma Ev Orenstein (nb Eitan wares his 'Bob the Builder' back-pack for the occasion). 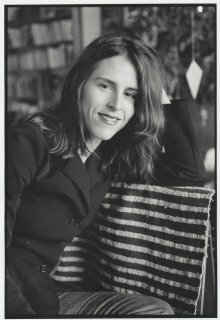 A nice photograph of Katie taken by an unknown (to me) photographer at the completion of her book "Little Red Riding Hood Uncloaked" which was on the Amazon best-seller list and reviewed by The New York Times, WSJ, Newsweek, Time and other. 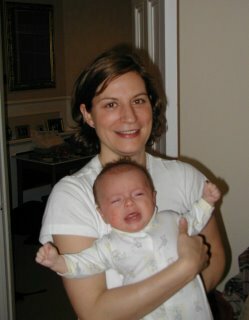 This picture taken from the jacket cover (10/4/02). Eitan and I at swann pond in Hyde Park (10/10/02). We spent the afternoon with the Downes-Cabo family who recently had their first child Iona. 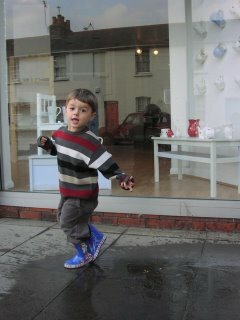 I like this picture of us - Eitan seems happily distracted and of course his wellies. 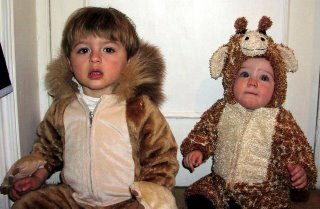 Eitan and Madeleine in their animal costumes, thanks to Auntie Robin (31/10/02). Madeleine one month old; neither yet capable of demanding their fair due of Halloween candy. 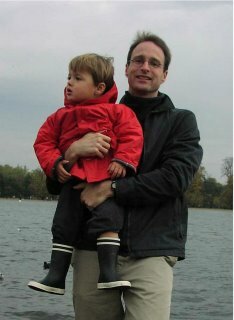 In this early photo in Lauderdale Mansions, Eitan test drives his lungs - I report that they work (sometime November 2000). While these memories are generally quite hazy (if recalled at all) I imagine the next two hours spent feeding the boy, awaiting the sun-rise and preparing for work (and some peace and quiet).